Use this system to test the load-bearing capacity of the subsurface when conducting the annual inspections of your ABS-Lock OnTop fall arrest device for bitumen and fabric-reinforced plastic membranes. The set consists of 2 circular, stainless steel testing units. Use an ABS-Lock OnTop Control to check the stability of your bitumen or fabric-reinforced plastic roof surface. 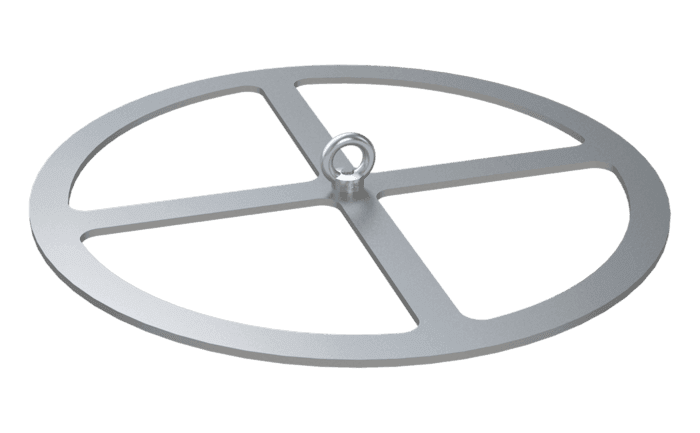 This is done by fusing 2 of these stainless steel components, each of which is equipped with a special eyelet, onto your roof surface and then connecting them up and subjecting them to pressure parallel to the roof surface. If the required level of force is reached, the integrated force indicator located between the chain and the eyelet breaks. Should, however, your roof membrane be deformed unexpectedly - or rip open - before the force indicator breaks, this means that your roof surface cannot cope with the load. 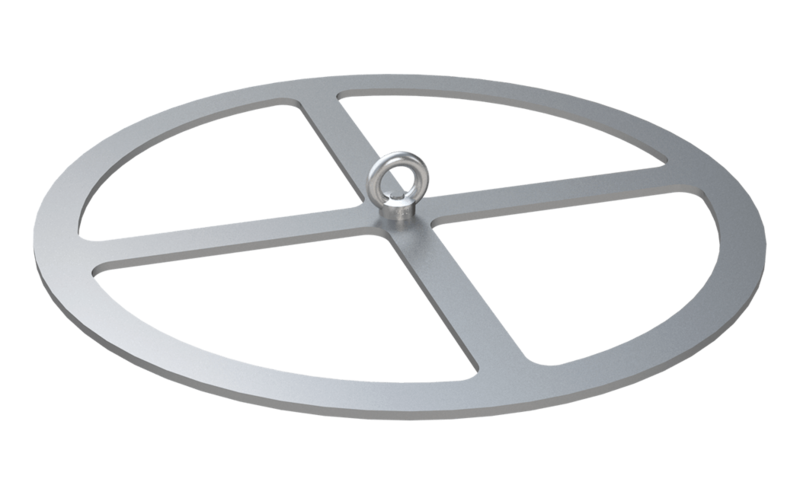 Our ABS-Lock OnTop Control device remains installed on your roof and should be used during the prescribed annual inspections. This allows you to document the load-bearing capacity of your roof membrane over the course of many years.